This introduction to printed book illustration in the West from the fifteenth century to the present day presents a chronological overview of techniques, genres, styles, and artists. The course centers on illustrations in typical publications, with an eye to changing technology and changing reader expectations rather than aesthetic appreciation, although private press books and major artists are also touched on. The focus of the course is mainly English, French, and American material, though book illustration in other Western countries is discussed. The course relies largely on original examples from the extensive RBS collections and materials in UVA Special Collections. In their personal statements, applicants should describe their background (formal and/or informal) in the topic, and their reasons for wishing to take the course at this time. Erin C. Blake teaches this course, as "The History of Printed Book Illustration in the West." Erin C. Blake teaches this course. Alan Fern teaches this course, as "Introduction to the History of Illustration." Erin Blake is currently the Senior Cataloger responsible for art and manuscripts at the Folger Shakespeare Library. She first came to the Folger in 2000, as Curator of Art and Special Collections. In 2014, she became the Folger’s Head of Collection Information Services. After a four-year tour of duty in senior management, she happily returned to working hands-on with the collection in 2018. 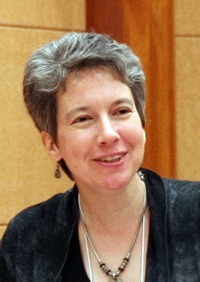 Outside the Folger, Erin served as chief editor of the national standard for art cataloging in libraries, Descriptive Cataloging of Rare Materials (Graphics), and remains an active member of the Rare Books and Manuscripts Section of the Association of College and Research Libraries. She holds a Ph.D. in art history from Stanford, and has written and lectured widely on issues related to book illustration.